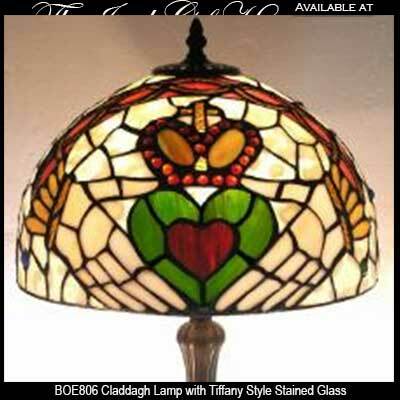 This stained glass Irish lamp features the Claddagh and it is enhanced with Celtic knots. The Claddagh and Celtic knots are featured on both sides of the glass shade and the lamp's metal base has a bronze finish. 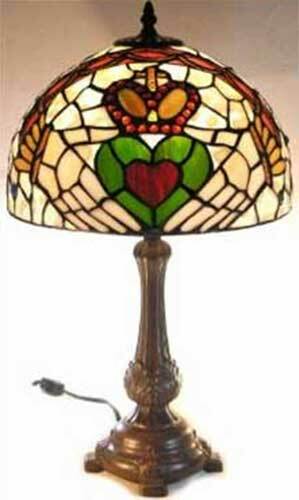 Made of metal and glass, the Claddagh lamp stands 20” tall, and the shade is 12 1/2" wide. 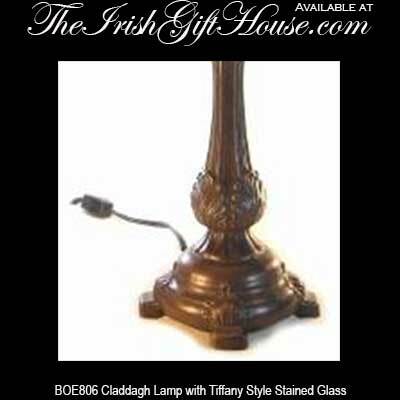 This Irish lamp is imported and minor assembly is required; it is boxed with Claddagh legend and Celtic knot history cards, complements of The Irish Gift House.